Who’ve long term urinary catheters or intravenous catheters, or those who have had prolonged courses of antibiotics or use intravenous drugs. 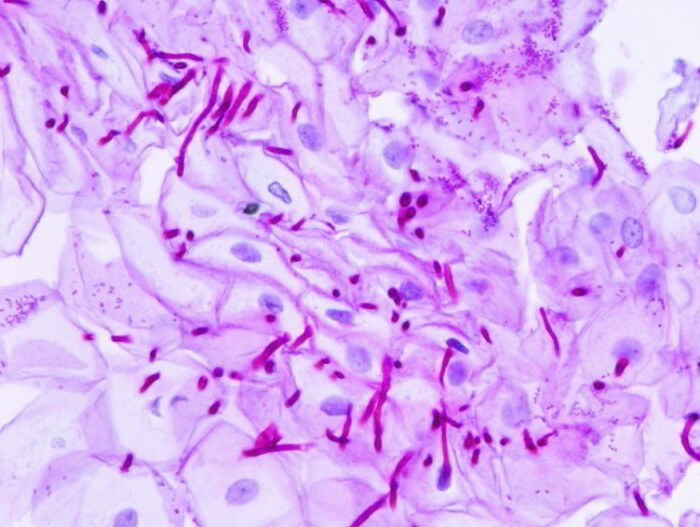 Extensive candidiasis may be diagnosed by culturing the yeast from a sample of blood or other body fluids or tissue samples. A chest X-ray might also be done to look for indications of disease in the lungs. Antifungal drugs may be given either orally or intravenously, determined by the severity of the disease. Untreated, the disease can spread through the body and may eventually be deadly. The prognosis is dependent upon the extent of disease and on the man’s general well-being.